timeline madness, are you ready? meet henry and a small gift for y'all! Are y'all caught up in the Timeline madness? What happened to the *Spring Sun and Easter Fun* add-on? A gift for your Timeline ... or not! Whether you already have a Facebook Timeline Cover and want to share a new arrival or simply wish to collect covers to keep on hand for future updates, the downloadable file below is in PNG format, created at Timeline cover dimensions (851 px X 315 px), which will allow for you to simply add your photos beneath and then save as a JPEG file for uploading to Facebook! I have added brief instructions on how to use this product, along with a few tips. They are included on my TOU in PDF format. If you have any questions, you may ask them in the comment section below or by emailing me at bonscrapatitdesigns (at) gmail (dot) com. 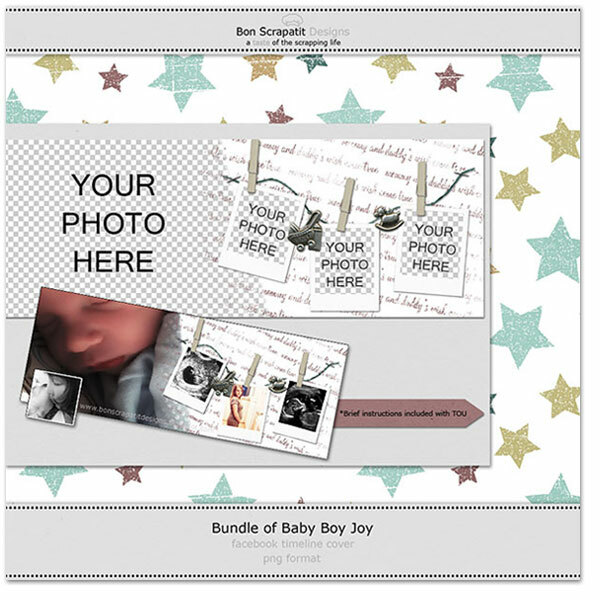 And, we know that scrapbookers are super creative people who can always find a new use for embellishments, so for those of you who are not on Facebook, you can use this gift in the creation of a small birth announcement, greeting card, or add it to a brag book page! I am a researcher, so the part of my brain still getting oxygen thought, why not Google this interesting tidbit of information before passing it off as being, the real deal! P.S. 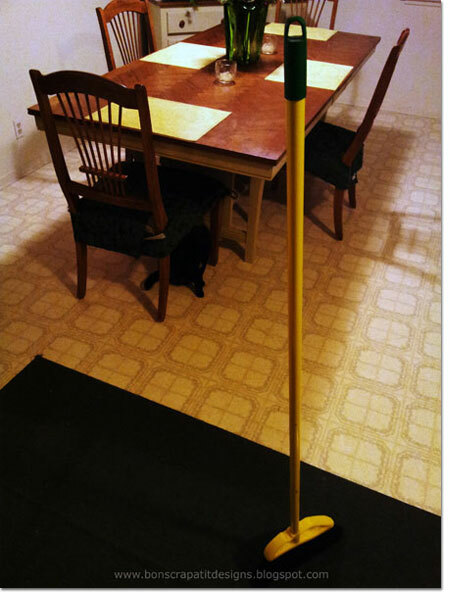 If curiosity gets the best of you, go ahead, grab that broom! 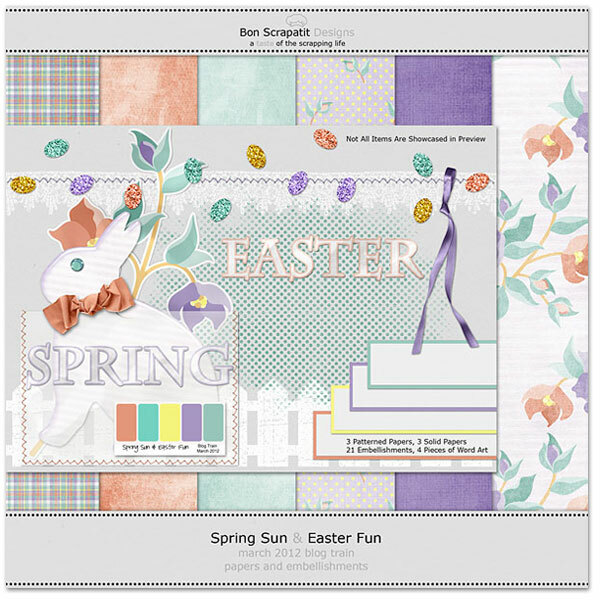 "spring sun and easter fun", march 2012 blog train has arrived! Happy First Day of March y'all! 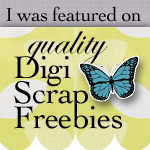 A big shout out to Tanya, owner of Scrap Dish, for heading up the March Blog Train for us! You can leave her some love on The Blog Train Blog or on our Facebook Page. Reminder: We have 74 designers participating this month from all around the world, so please be patient as it may take up to 24 hours for everyone to have their designs posted. If you aren't able to leave a thank you for each designer you download from, you may leave a comment on The Blog Train Blog! 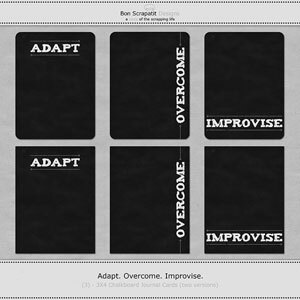 If you are new to my blog and wish to keep up on what is happening here at Bon Scrapatit Designs, you can subscribe to my feed at the top of my sidebar or, if you wish to receive my posts in your inbox, you may enter your email address in the Feedburner box and click on Subscribe. Sorry, this link has expired. Check my store for this and the add-on soon!